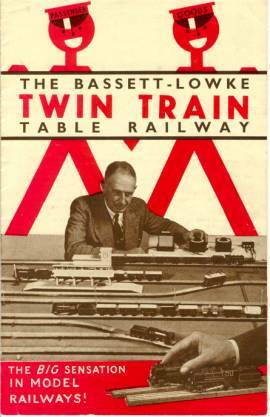 The front cover shows Mr. Bassett-Lowke operating a train on an exhibition layout. 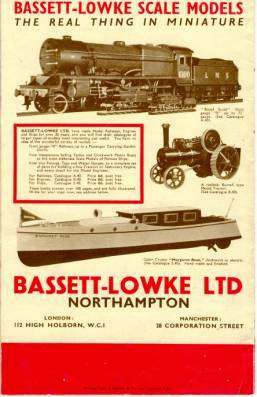 All the locomotives and rolling stock are the German Trix Express models modified for the English market. 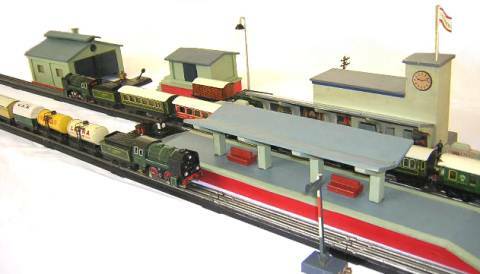 At the top is the passenger train shown with disc wheels was printed in actual size. 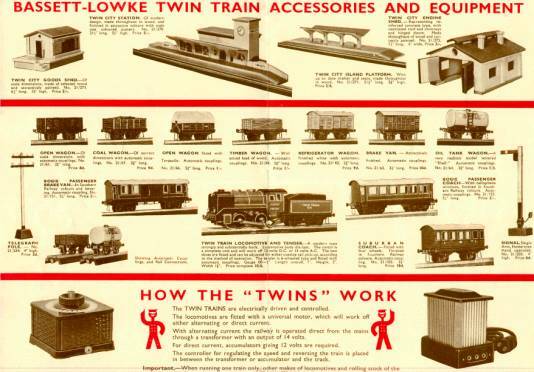 On the tender is written “ Twin Train”, whereas it was marketed with the words “Trix Express”. On many models just visible is the name change with the paint underneath showing Twin Train. Clearly the name was changed after many had been painted. The bottom train shows the freight train. 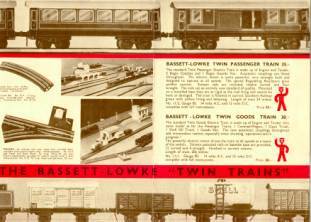 The second back sheet ( above) shows the complete range of rolling stock and buildings. These buildings were the German wooden ones. Note the station has a round clock as was used on the Trix Express “ Trixtstadt” station. Whereas in England the clock was square with the name Twin City. This catalogue was not too accurate ! 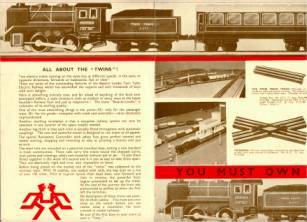 The original engine shed shown in the catalogue was only high enough to allow the steam loco to enter. 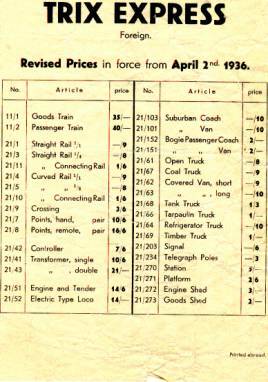 Soon after the catalogue was made the engine shed was heightened to allow the 20/52 electric loco with pantographs to enter. The colour was also changed. The early ones were in pale green, but very quickly the colour was changed to pale cream or pale yellow.